It's been a little over a month since we last heard from the new Hyundai i30/Elantra GT and we were getting a bit worried. With this new batch of photos, our heart is back where it's supposed to. The compact hatchback from Hyundai is very deceitful in these new photos: you get the impression there's very little camouflage still on the car, and yet there's very little you can make of its shapes and details. In reality, the i30 has simply dropped some of the fabric camouflage in favor of the well-know psychedelic black and white foil. From the little we can see, it's apparent the front grille will be completely changed, if not in actual shape than at least its mesh grille pattern. The fog lights and daytime running lights will also be positioned differently on the new car's front fascia. Looking at the new Hyundai Tucson for inspiration doesn't seem to be the right idea, as the two cars seem to have pretty little in common apart from the elongated headlights. The rear is still under heavy clothing, which would indicate there will be a lot of changes going on that end of the car. These images were taken in the Alps under severe cold conditions where the i30 was spotted pulling a trailer that warned other motorists the car was on a test-run. The new Hyundai i30 seems to be going through all the natural phases of testing, with the mandatory gradual stripping of the camouflage happening as planned. But there's still the question regarding the hatchback's timing. The facelifted model has only been with us for one year, so if the new i30 were to launch in 2016, it would shorten the current model's lifespan to a mere two and a half years. On the other hand, the facelift did come after just three years, so everything's possible in i30's little world. 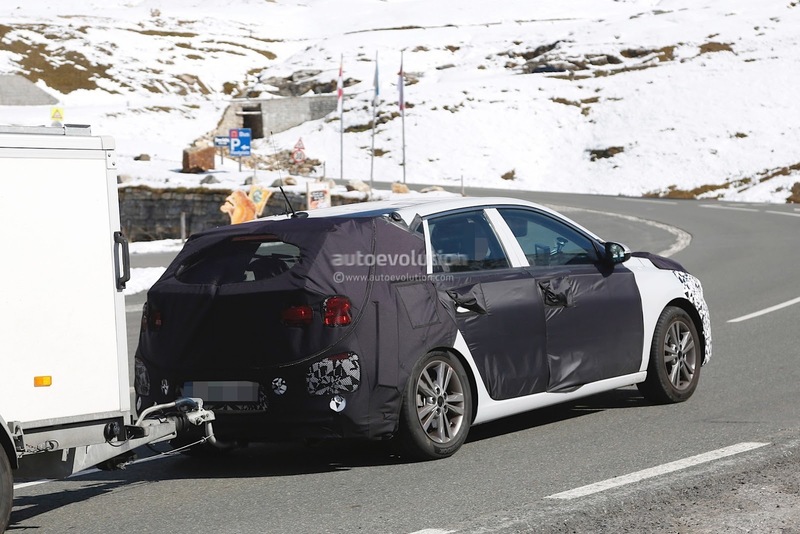 It's still a puzzle, but the new i30 looks like quite ready to hit the roads, so the current model could be in for an early substitution after all. We'll just have to wait and see how this one develops.